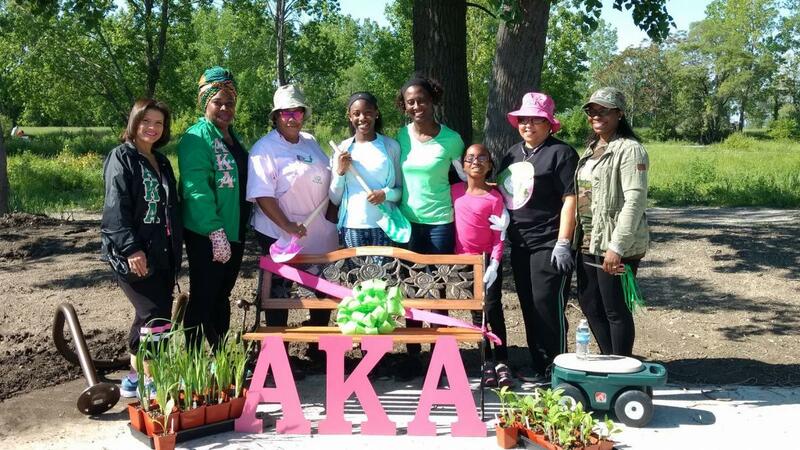 The DRCC participated in multiple spring gardening and tree planting projects across the Detroit River watershed in May. Thanks to Tecumseh Vista Academy, St. Peter Catholic Elementary, St. Joseph Catholic Elementary, the Little River Enhancement Group, Forests Ontario, the City of Windsor, Essex Region Conservation Authority, the Windsor Port Authority, Alpha Kappa Alpha Sorority and Union Gas for improving habitat and water quality for the river! 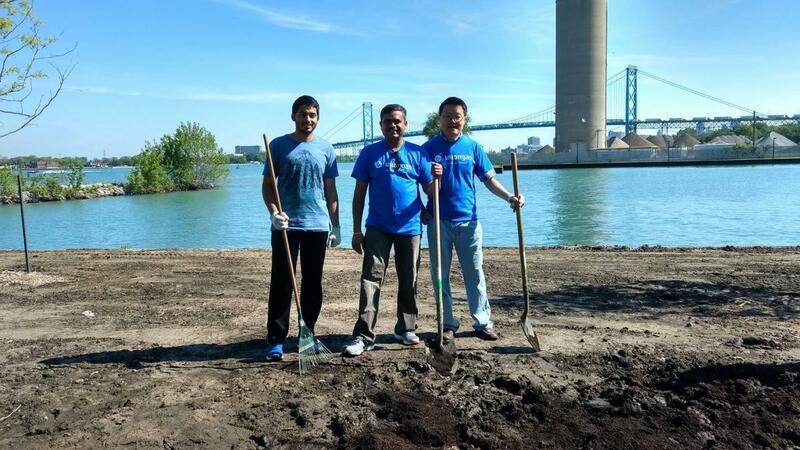 Ontario uses penalties collected from environmental violations to fund community projects that restore and protect the environment. Not-for-profit organizations, First Nations and Métis communities, municipalities, schools, colleges, universities, and conservation authorities can get government grants for local projects in their watersheds. This year, $209,000 from the Ontario Community Environment Fund (OCEF) will be shared among 13 watersheds across the province where environmental penalties were collected. 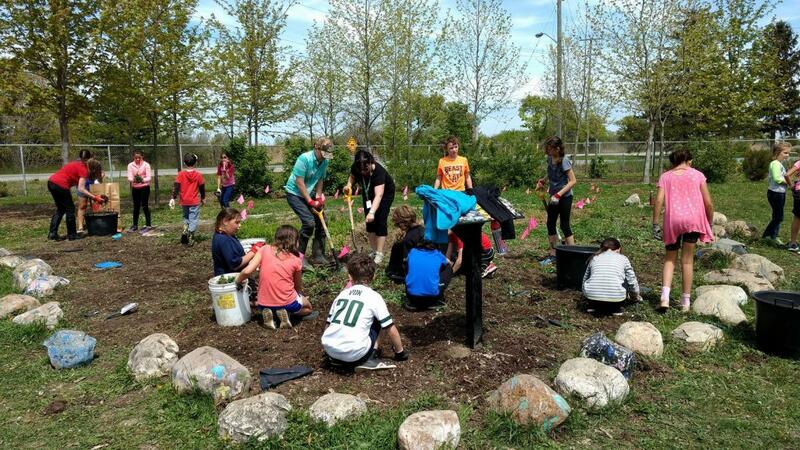 Past projects have successfully restored riverbanks by planting native trees and plants, helped protect the Great Lakes from invasive species, improved fish and wildlife habitat, and helped improve air quality and fight climate change in communities across Ontario. The deadline to submit an application is May 25th, 2017 at 5:00 PM. It is expected that applicants will be notified in fall, 2017. 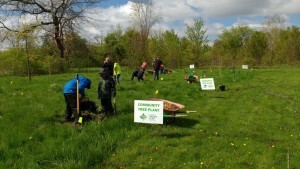 On Saturday, 6 May, the Windsor-Essex community celebrated the “Community Tree Plant” event with Forests Ontario. 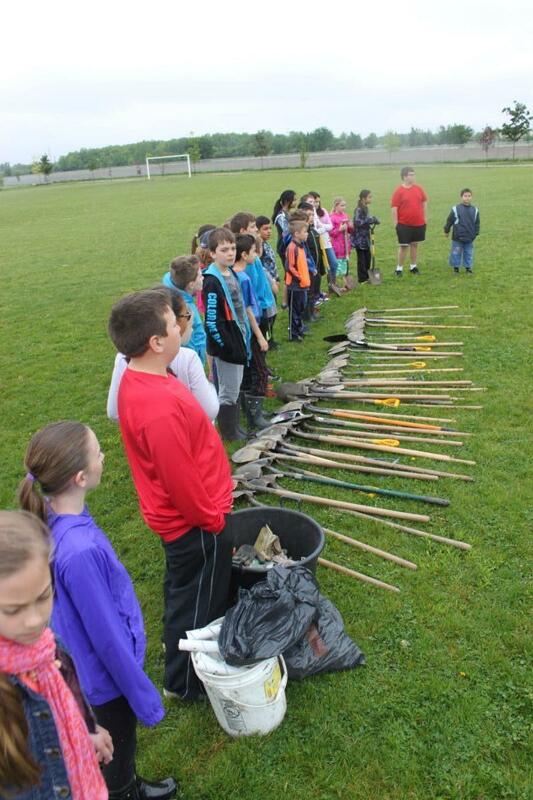 Essex County Nature was invited to participate by Paul Giroux, City of Windsor Forester. 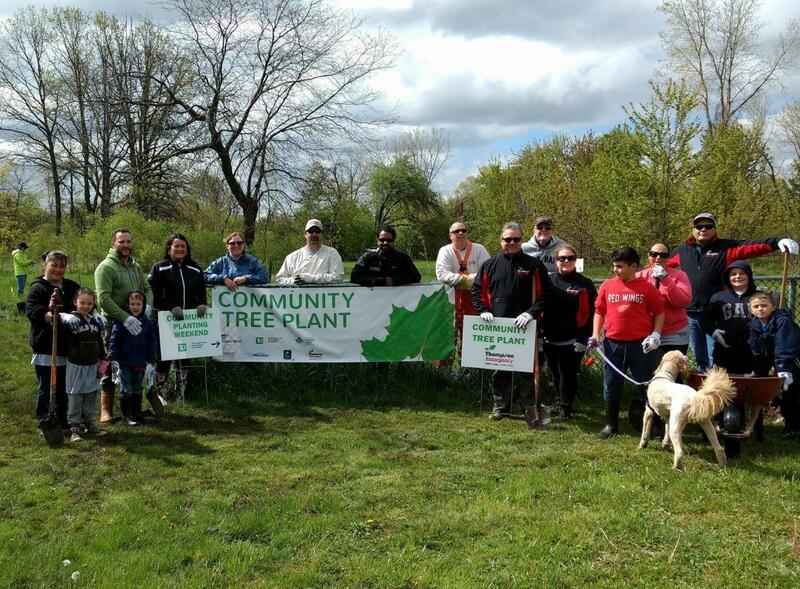 Along with Forests Ontario and the City of Windsor, the partnership included: TD Friends of the Environment Foundation, Ontario Wood and the Essex Region Conservation Authority. 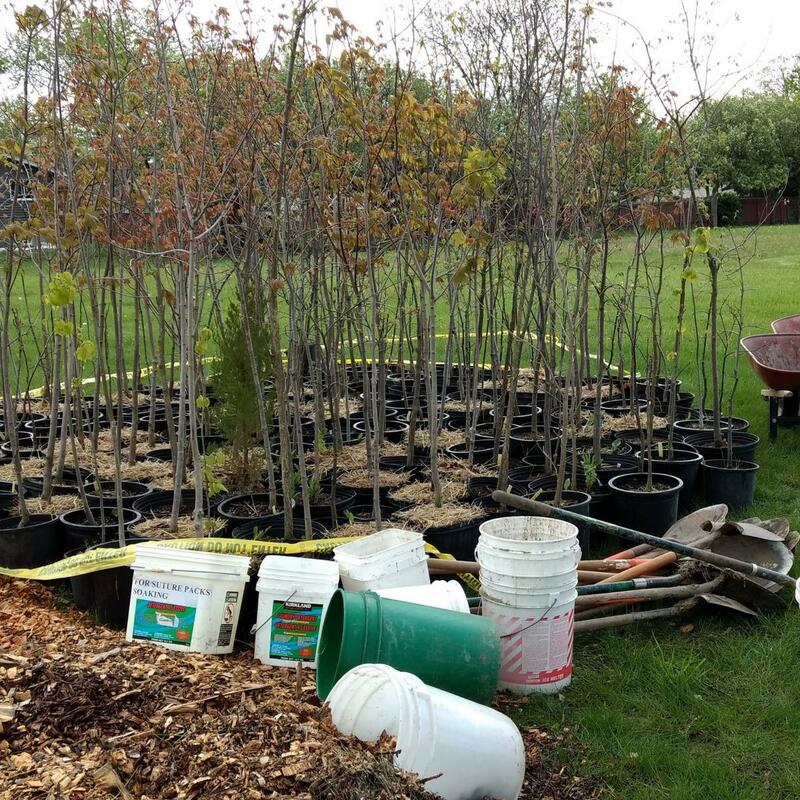 This is the fifth year in a row our group has supported the Forests Ontario initiative; the planting sites have been located in the Little River Watershed in East Windsor. 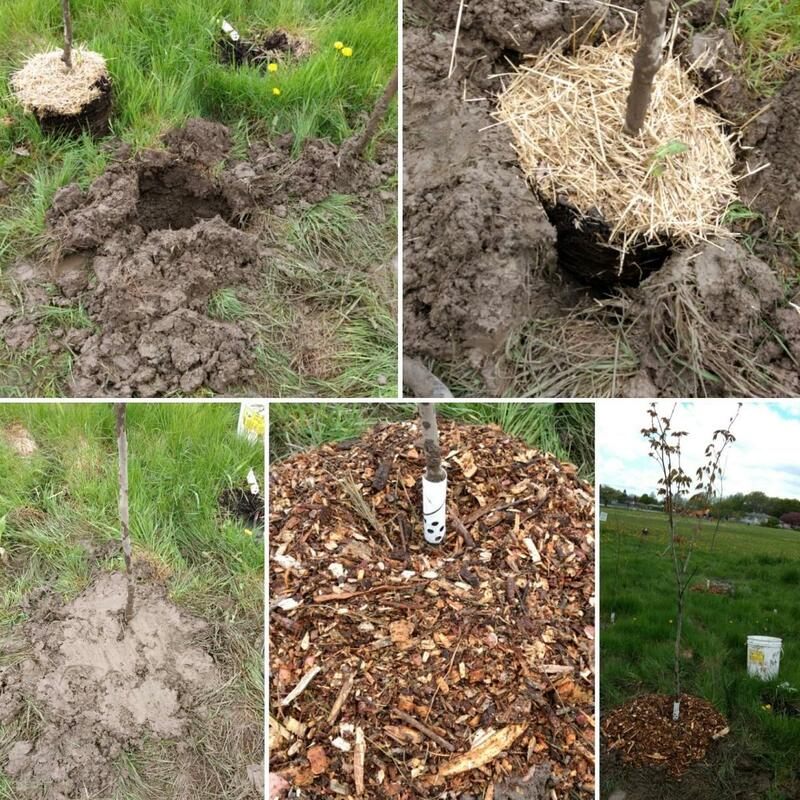 Tranby Park was planted last year and we returned this year to further expand the woodland in the park. 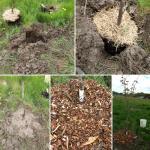 However, we needed to replace some of the trees that died in last summer’s drought conditions. The woodland in Tranby Park is on the edge of the Little River Watershed boundary. 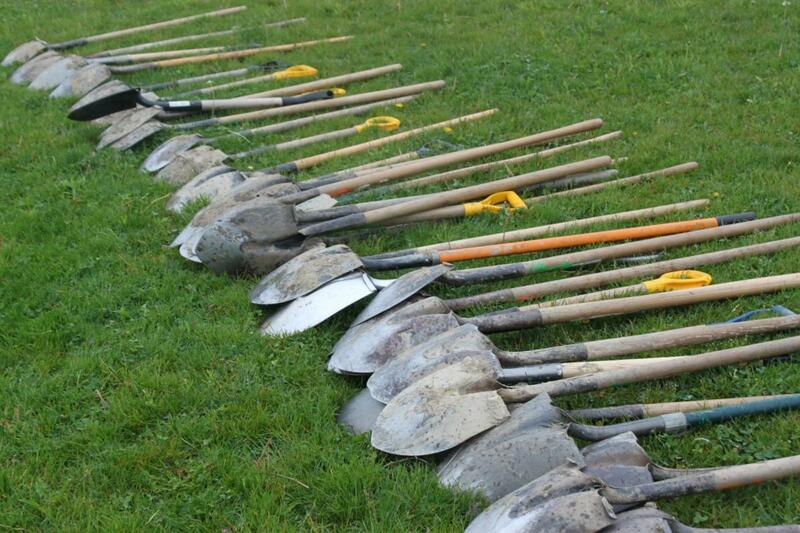 Consequently, the Little River Enhancement Group will include the trees planted today, 170, in our watershed total of 39085. Mother Nature has been giving us a severe weather-beating lately; the forecast for Saturday was gruesome: pelting rain, cool temp of 6 C, winds of 30 km/ h – gusting to 50 km/ h, which meant a wind chill factor as well. 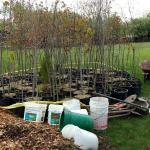 We were not happy with the forecast, but we had a bunch of trees to put into the ground. Thankfully, we woke up Saturday morning to find the sun shining! What a wonderful change: it turned out to be 7 C at 9 a.m. and rose to 11 C by noon, quite balmy for us lately; blustery wind for sure, but no rain! Whew, thank you Mother Nature. 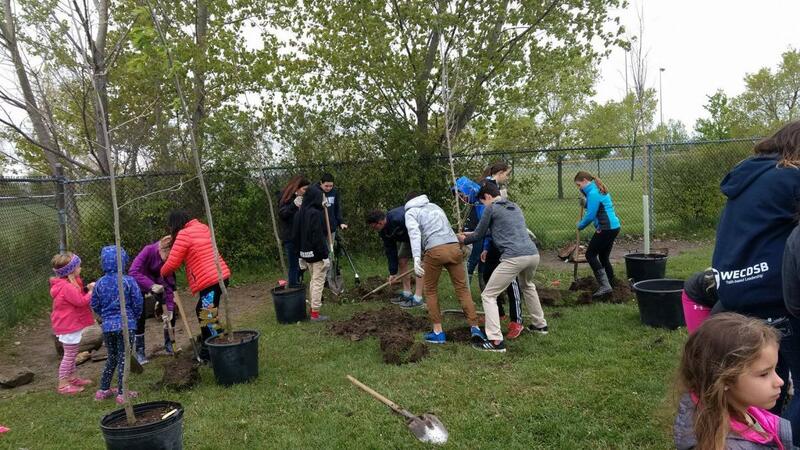 Over 30 hardy community volunteers (children, parents and grandparents) participated by digging holes; planting and mulching the trees! 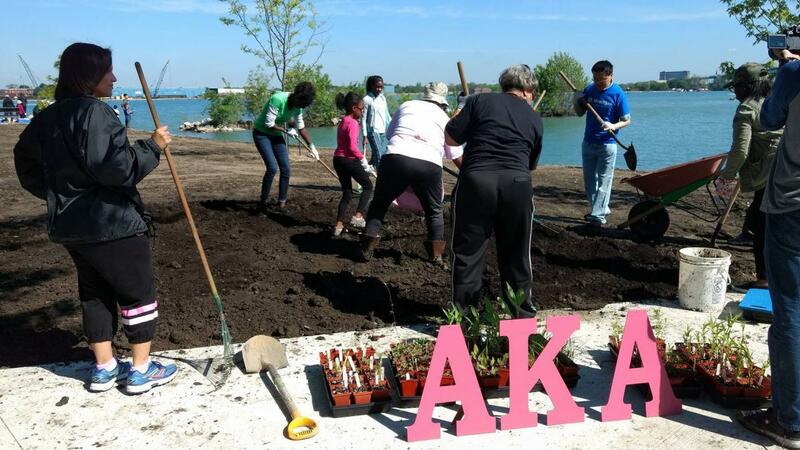 Volunteers worked from 10 a.m. to 12:30 p.m. The ground was saturated and the Brookston Clay was as sticky as toffee! That made the digging and placing the clay back into the hole a challenge. There will be no need to water these trees for awhile, some of the holes looked like buckets filled with water! 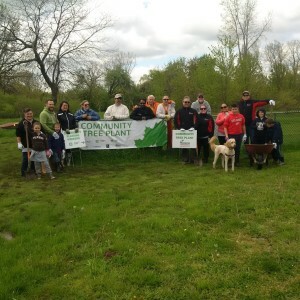 The species of trees that we planted included: Burr Oak, Swamp White Oak, American Elm, Basswood, Pin Oak, Freeman’s Maple and American Sycamore. Plans are in place for Forests Ontario to return to Tranby Park for future Forests Ontario “Community Tree Plant” celebrations. We look forward to receiving our invitation next year to expand the woodland further into Tranby Park. ABOUT FORESTS ONTARIO Forests Ontario is the voice for our forests. Working to promote a future of healthy forests sustaining healthy people, Forests Ontario is committed to the re-greening of Ontario through tree planting efforts on rural lands and in urban areas, as well as the renewal and stewardship of Ontario’s forests through restoration, education and awareness. Visit www.forestsontario.ca or follow us @Forests_Ontario. 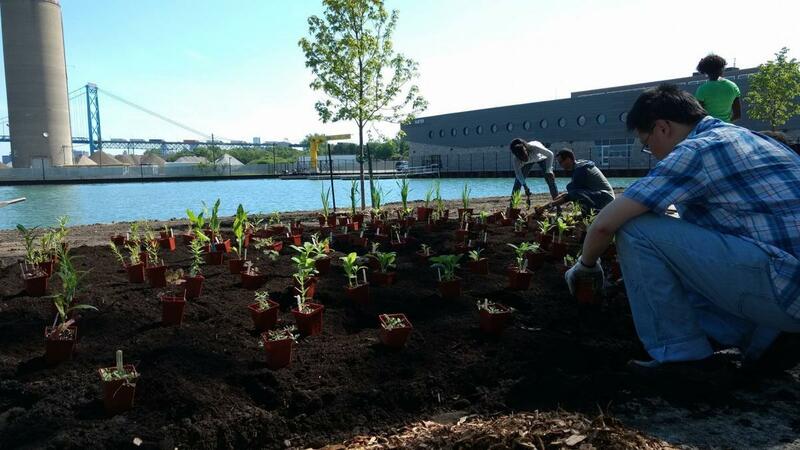 As part of a national effort to recognize and celebrate Canada’s Heritage Rivers, as well as the country’s 150th birthday, the Essex Region Conservation Authority and a number of local partners will host free paddling events throughout the Detroit River watershed on Sunday, June 4. Amateur and expert paddlers alike will have the opportunity to explore the Detroit River, and a number of its tributaries, alongside professional guides. 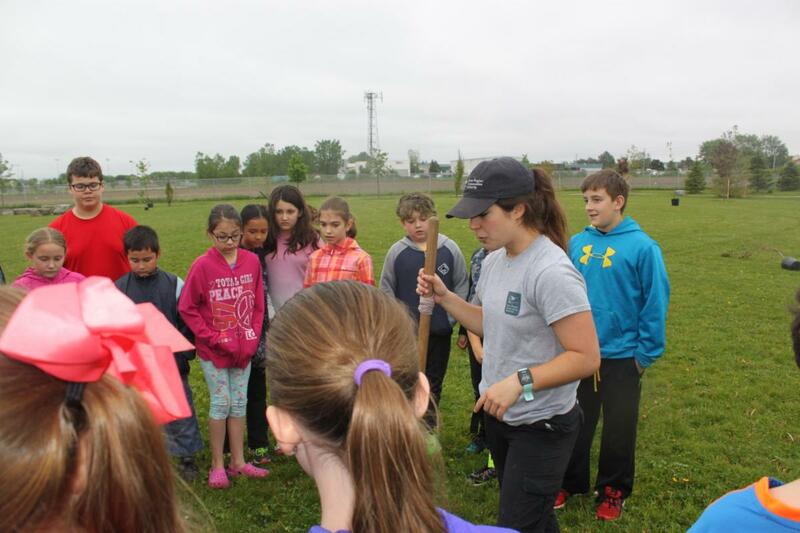 “This event is perfect for those who don’t typically get the chance to explore these waterways,” explained Essex Region Conservation’s Director of Communications and Outreach Services, Danielle Breault Stuebing, adding that all paddling equipment and instruction will be provided for those who register. 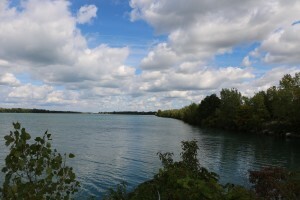 The Detroit River was designated as a Canadian Heritage River in 2001, and to date, remains the only river in North America with both Canadian and American Heritage River statuses. 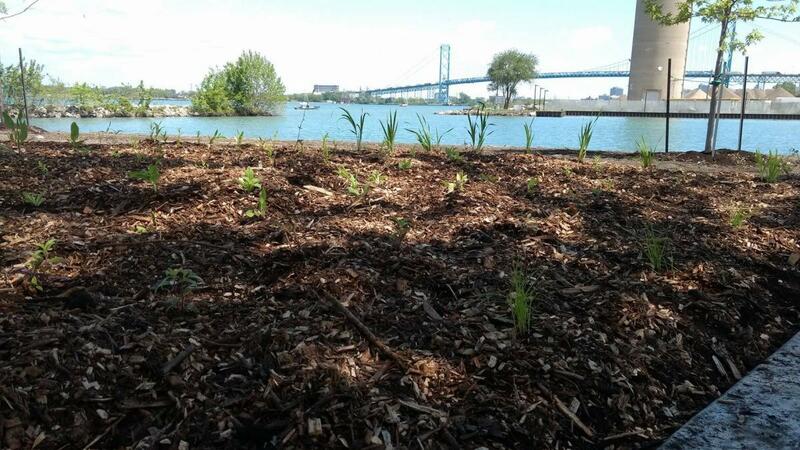 Participants will enjoy paddling in one of four locations in the Detroit River watershed. On the river’s east end, Windsor Adventure Inc. and Paddle Anywhere will provide kayak and canoe tours to Peche Island, where the river meets Lake St. Clair. Both companies will provide three paddling sessions throughout the day, starting at 9:00am. Heading west, participants can also enjoy a leisurely guided canoe tour of the River Canard in LaSalle. With three trips departing from River Canard Park starting at 10:00am, paddlers will learn about the natural and human history of the waterway with an experienced river guide. For those looking to clean up the environment while paddling can participate in the Turkey Creek Canoe Cleanup, hosted at Vince Marcotte Park in LaSalle starting at 11:30am. Participants will head out on the water and collect garbage. Gloves and garbage bags will be provided, along with a limited supply of canoes. Those with their own canoe or kayak can also sign up to help clean up the waterway. The DRCC is looking for your feedback on its recommendation to remove the ‘Restrictions on Dredging Activities’ from the Detroit River’s list of impaired beneficial uses. The partnership uses a list of 14 potential beneficial use impairments or BUIs to determine the condition of the Detroit River. As of May 2017, the Detroit River has 7 impaired, 6 not impaired and 1 that requires further assessment. 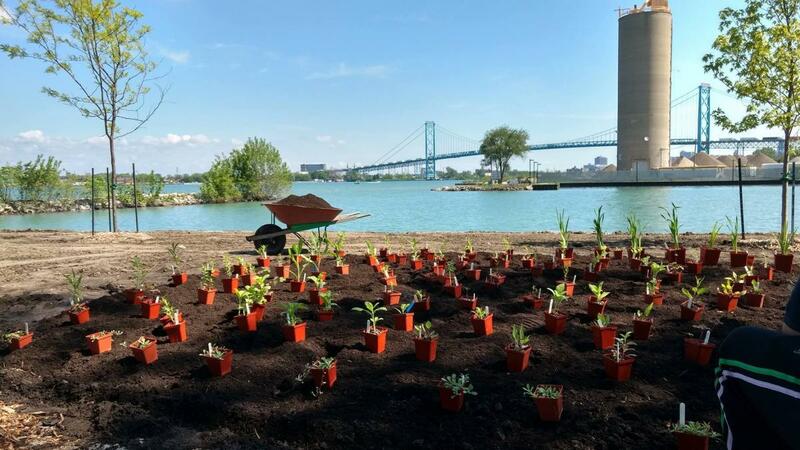 The proposed re-designation status brings us all one step closer to removing the Detroit River from the list of Great Lakes’ Areas of Concern. Dredging is a common activity within the Great Lakes and involves removing sediment to clean, deepen or widen a channel for commercial or recreational navigation. Historically, the dredged material or sediment was disposed in open waters where it would not impede navigation. Today regular maintenance dredging for commercial navigation is carried out, but there are restrictions related to handling and disposal of contaminated sediments. If these dredged sediments ae contaminated with PCBs or heavy metals, open water disposal is not permitted, and must be disposed in an environmentally acceptable manner. To date, these sediments have been disposed in a Confined Disposal Facility (CDF), but new advancements are expanding the option to find a re-use with these sediments once the contaminants are removed. Based on new 2013 draft guidance through Remedial Action Plan partners via the Canada Ontario Agreement, it is recommended that the Restrictions on Dredging Activities BUI be re-designated to ‘NOT IMPAIRED.’ This is because any sediment dredged for commercial navigation will be disposed of in a regulated management facility that follows federal and provincial guidelines and regulations. We need your input! Please download the Assessment of Restrictions on Dredging Activities (BUI#7) Detroit River Area of Concern report, read it and submit your written comments by e-mail to postmaster@detroitriver.ca by Wednesday June 7, 2017. Thank you in advance for your feedback.